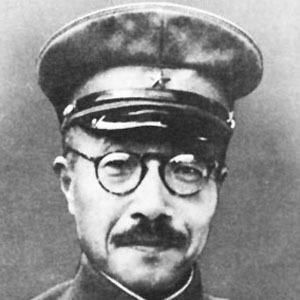 40th Prime Minister of Japan and general of the Imperial Japanese Army who was directly responsible for the attacks on Pearl Harbor. He was very popular in Japan during the early days of the WWII but the moment the tide of war began to turn after the Battle of Midway, he began to face heavy opposition. He ranked 10th out of 363 cadets at the Japanese Military Academy. 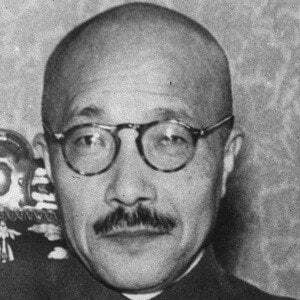 He was arrested for war crimes after World War II and was hanged to death on December 23, 1948. He married Katsuko Ito in 1909, and they had three sons and four daughters. 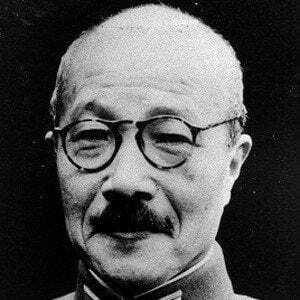 His father was Japanese Lieutenant General Hidenori Tojo. His arrest orders were issued by U.S. General Douglas MacArthur .